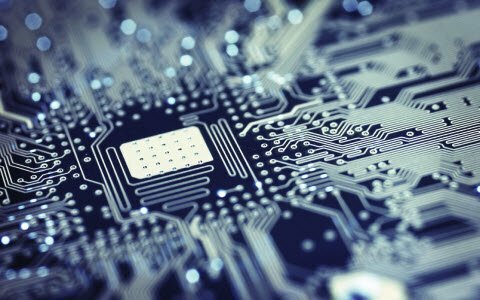 Systems for processing and generating pulses make widespread use of multivibrators. Multivibrators are electronic circuits that are used to implement a variety of simple two state systems like timers, oscillators and flip-flops. 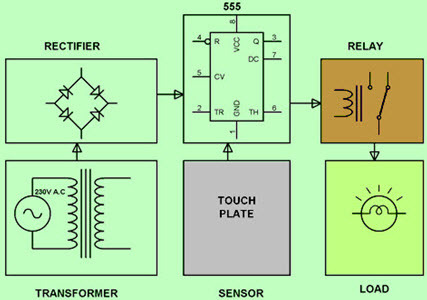 These circuits are characterized by two amplifying devices cross-coupled by resistor and capacitor. Multivibrators are categorized into three types based on the number of stable states such as astable multivibrators, monostable multivibrators and bistable multivibrators. 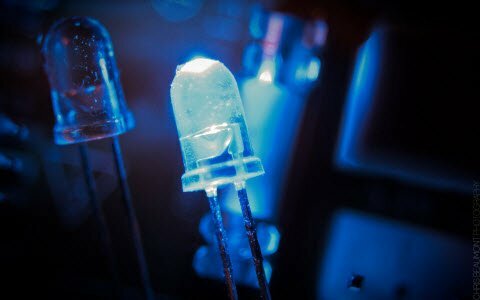 This article gives a brief information about monostable multivibrator and monostable multivibrator using a 555 timer IC. Monostable multivibrators have only one stable state that is used to generate a single o/p pulse of a specified width either high or low when an external trigger pulse is applied. This trigger pulse starts a timing cycle, which causes the o/p to change its state at the time of start of timing cycle and continues in the second state which is decided by the time constant of the capacitor C and resistor R until it returns to its original state. It will continue in this state until another i/p signal is received. Monostable multivibrators can produce a much longer rectangular waveform. When a trigger pulse is applied externally then the leading edge of the waveform rises with the externally applied trigger. 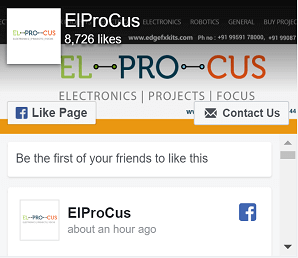 Here, trailing edge depends upon the RC time constant of the feedback components used. This RC time constant may be varied with time to produce a series of pulses which have a fixed time delay to the original triggered pulse. 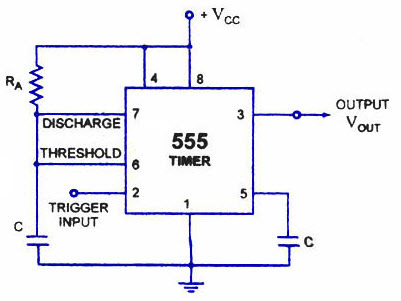 555 Timer is an integrated circuit used in various applications such as Timer, pulse generation, multivibrator, oscillators, etc. It is a high stable controller and produces an accurate timing pulses. These types of ICs are having three types of operating modes like astable, monostable and bistable. When the 555 timer IC is used in Mono-stable multivibrator operation the delay is controlled by an external resistor and capacitor. 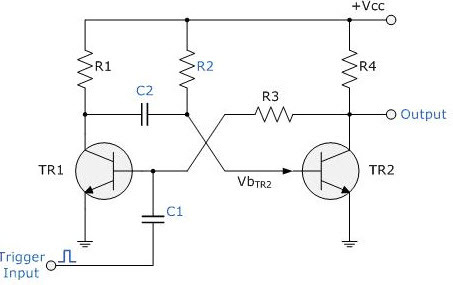 When it is used in astable multivibrator operation the frequency & duty cycle are precisely controlled by two external resistors and one capacitor. 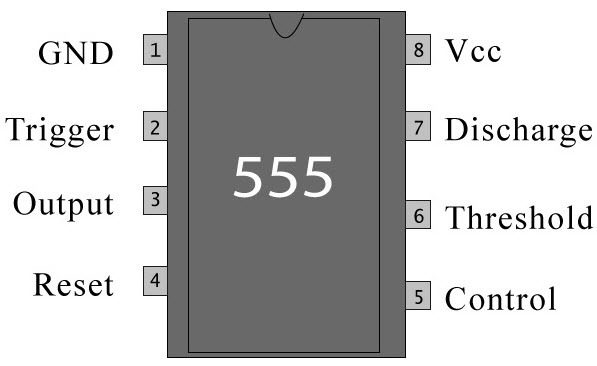 In monostable multivibrator using 555 timer circuit, the term monostable indicates that it has only one stable state. The unstable state is called “Quasi stable state”. 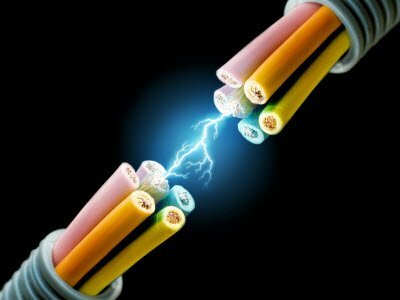 The period of stable state is determined by the charging time constant of the C network. The transition of o/p from a stable state to quasi stable state accomplished by using the trigger switch. The circuit diagram of monostable multivibrator using 555 timer is shown below. By using this circuit we can find the duration of the pulse easily. In the above circuit, the pin1 is connected to the ground and the trigger input is given to the pin2.In inactive condition of o/p, this i/p is kept at +VCC. To get transition of the output from a stable state to unstable state, a negative going pulse of narrow width and amplitude of greater than +2/3 VCC is applied to pin2. The o/p is taken from pin3 and pin4 is connected to +VCC to avoid accidental reset.Pin5 is connected to the ground via a 0.01uF capacitor to avoid noise. Pin6 and pin7 are shorted and a resistor is connected between pins 6 & 8. A discharge capacitor is connected to pin7 while pin8 is connected to VCC. The output of the monostable multivibrator using 555 timer remains in its stable state until it gets a trigger. In monostable 555 multivibrator, when both the transistor and capacitor are shorted then this state is called as a stable state. When the voltage goes below at the second pin of the 555 IC, the o/p becomes high. This high state is called quasi stable state. When the circuit activates then the transition from a stable state to quasi stable state. Thus the o/p goes back to its stable state from an unstable state. Finally we can conclude that, in the monostable multivibrator using 555 timer, the o/p stays in a low state until it gets a trigger i/p. This type of operation is used in push to operate systems. When the input is triggered, then the o/p will go to high state & comes back to its original state. 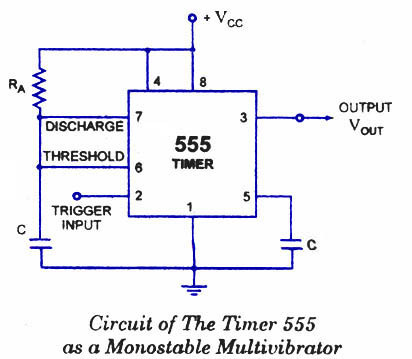 A 555 Timer IC in a Monostable multivibrator is needed to produce a time delay in a circuit. If a 10 uF timing capacitor is used, then calculate the value of the resistor required to produce a minimum o/p time delay of 500ms. 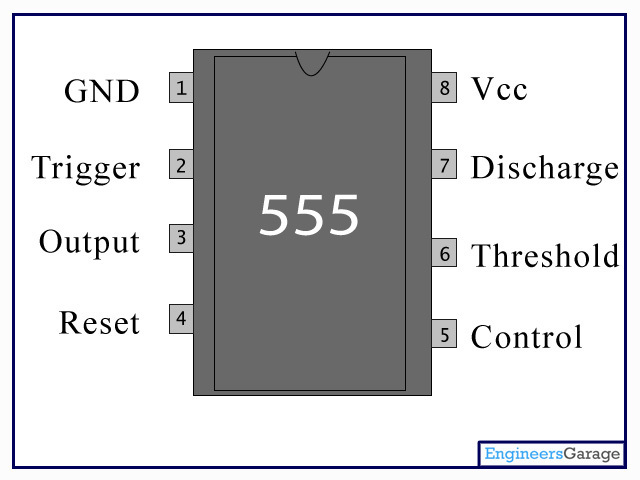 The applications of the 555 timer circuits mainly involve in various 555 timer based projects in monostable mode. This project is designed to detect any activated mobile phone from a distance of about one-and-a-half feet to avoid the use of un-authorized cell phone in prohibited areas. In this project, the active cell phone detector is designed with 555 timer IC and it is operated in monostable mode.If any person tries to make a call or send a message, then the buzzer will give an alarm in the presence of an active cell phone. The main goal of this project is to control a load in a short-time duration by using a 555 timer and a touch plate. This 555 timer IC operates in a monostable mode, which is activated by a touch plate connected to its trigger pin. The o/p of the 555 timer sends a logic high for a particular time interval that is decided by the RC time constant. This o/p drives a relay to switch on the load in the fixed time duration and after it switches off automatically. This is all about working of monostable multivibrator using a 555 timer and its applications.Furthermore, any queries regarding this topic or electronics projects, please leave your comments in the comment section below.Here is a question for you, Monostable multivibrator is called a delay circuit why? 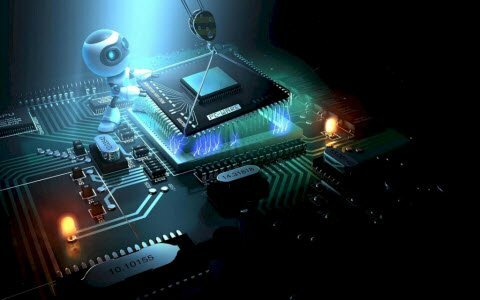 ‹ Previous What are the Electronic Circuit and Their Symbols? 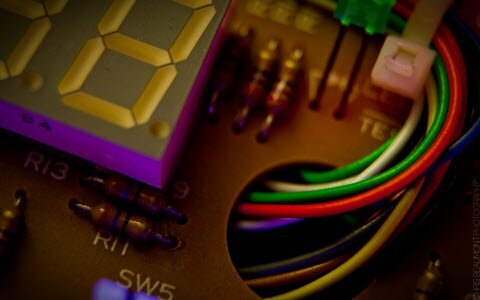 For more information on 555 timer, applications, projects and working please refer to the link.